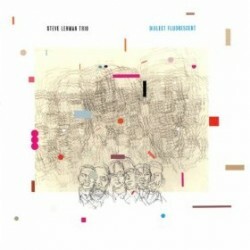 Saxophonist Steve Lehman’s new album is called Dialect Fluorescent (Pi Recordings, 2012). In this interview, Lehman talks about allocentric performance; what he learned from Jackie McLean about sound and evolution; the unlikely beginning of his current trio; and some of the touchstones in his own musical growth. Learn more at stevelehman.com and follow him on Twitter at @TheSteveLehman. CONCERT NOTE: Lehman’s trio will be at The Jazz Gallery in NYC from June 7-9 with special guests David Virelles, Vijay Iyer and James Hurt. NOTE: This is Steve Lehman’s second appearance on The Jazz Session. You’ll find our first conversation here.